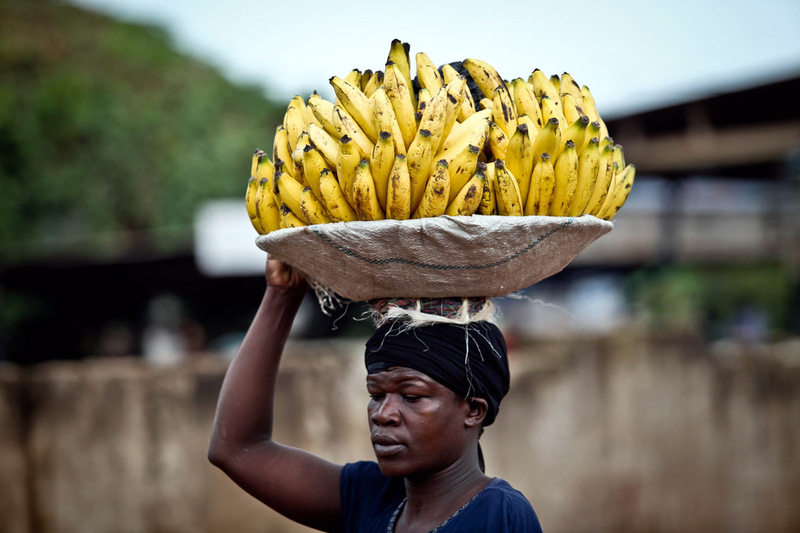 A woman goes about her business hawking bananas in Kampala, Uganda’s capital. According to the Uganda Bureau of Statistics survey, there are 1.8 million informal businesses in Uganda. The majority of informal businesses in Uganda are in the agricultural sector (27%) followed by trade and services (24%) while mining and quarrying (1%) as well as Fishing (1%) accounted for only two percent of the total number of businesses. As usual a great pic. Thx. Does UBOS have figures on the WOMEN’S proportion of the 1.8 million informal businesses? Let alone of women’s share of those in agriculture, trade & services, mining & quarrying and fisheries respectively? Aware that it can only be estimates when we’re talking informal sector, is could be interesting to know if UBOS has figures, disaggregated according to gender! ?